MACBOOK Ci sono 14 prodotti. APPLE MACBOOK PRO 13" CORE i7 a1278 8GB RAM HD 750GB 2.9GHz/HD Graphics 4000 RICONDIZIONATO GRADE A - ANNO PRODUZIONE META' 2012- GARANZIA 1 ANNO. GLI UNICI AD OFFRIRE ASSISTENZA PICKUP & RETURN, PER QUALSIASI PROBLEMA PENSIAMO NOI A RITIRARE, RIPAPARE E RESTITUIRE IL PRODOTTO SENZA ALCUNA SPESA AGGIUNTIVA! APPLE MACBOOK AIR 13" 15E i5-5250U 4GB RAM 128GB SSD DC-i5 1.6GHz HD Graphics 6000 RICONDIZIONATO GRADE AGARANZIA 1 ANNO.GLI UNICI AD OFFRIRE ASSISTENZA PICKUP & RETURN, PER QUALSIASI PROBLEMA PENSIAMO NOI A RITIRARE, RIPAPARE E RESTITUIRE IL PRODOTTO SENZA ALCUNA SPESA AGGIUNTIVA! 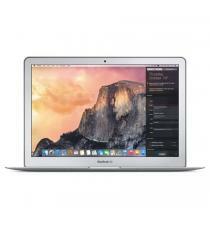 APPLE MACBOOK AIR 13" Core i5 A1369 4GB RAM 128GB SSD 1.7GHz HD Graphics 3000 RICONDIZIONATO GRADE A. BATTERIA GARANTITA! GARANZIA 1 ANNO. GLI UNICI AD OFFRIRE ASSISTENZA PICKUP & RETURN, PER QUALSIASI PROBLEMA PENSIAMO NOI A RITIRARE, RIPAPARE E RESTITUIRE IL PRODOTTO SENZA ALCUNA SPESA AGGIUNTIVA! APPLE MACBOOK AIR 11" Core i5 A1465 4GB RAM 256GB SSD 1.6GHz HD Graphics 6000 RICONDIZIONATO GRADE A. BATTERIA GARANTITA!GARANZIA 1 ANNO.GLI UNICI AD OFFRIRE ASSISTENZA PICKUP & RETURN, PER QUALSIASI PROBLEMA PENSIAMO NOI A RITIRARE, RIPAPARE E RESTITUIRE IL PRODOTTO SENZA ALCUNA SPESA AGGIUNTIVA! 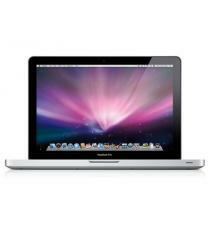 APPLE MACBOOK PRO 17" CORE i5 a1297 4GB RAM HD 500GB 2.53GHz NVIDIA GeForce GT 330M RICONDIZIONATO GRADE A!BATTERIA GARANTITA! GARANZIA 1 ANNO. GLI UNICI AD OFFRIRE ASSISTENZA PICKUP & RETURN, PER QUALSIASI PROBLEMA PENSIAMO NOI A RITIRARE, RIPAPARE E RESTITUIRE IL PRODOTTO SENZA ALCUNA SPESA AGGIUNTIVA! 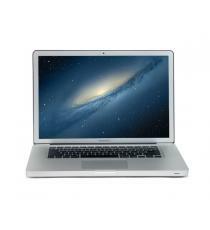 APPLE MACBOOK PRO 17" CORE i7 a1297 4GB RAM HD 750GB 2.4GHz AMD Radeon HD 6770M 1GB RICONDIZIONATO GRADE A!BATTERIA GARANTITA! GARANZIA 1 ANNO. GLI UNICI AD OFFRIRE ASSISTENZA PICKUP & RETURN, PER QUALSIASI PROBLEMA PENSIAMO NOI A RITIRARE, RIPAPARE E RESTITUIRE IL PRODOTTO SENZA ALCUNA SPESA AGGIUNTIVA! APPLE MACBOOK PRO 13" CORE i7 a1278 4GB RAM HD 500GB 2.7GHz/HD Graphics 3000 RICONDIZIONATO GRADE A!BATTERIA GARANTITA! GARANZIA 1 ANNO. GLI UNICI AD OFFRIRE ASSISTENZA PICKUP & RETURN, PER QUALSIASI PROBLEMA PENSIAMO NOI A RITIRARE, RIPAPARE E RESTITUIRE IL PRODOTTO SENZA ALCUNA SPESA AGGIUNTIVA! APPLE MACBOOK PRO 15" CORE i7 a1286 4GB RAM HD 500GB 2.2GHz AMD Radeon HD 6750M 512MB RICONDIZIONATO GRADE A BATTERIA GARANTITA! GARANZIA 1 ANNO. GLI UNICI AD OFFRIRE ASSISTENZA PICKUP & RETURN, PER QUALSIASI PROBLEMA PENSIAMO NOI A RITIRARE, RIPAPARE E RESTITUIRE IL PRODOTTO SENZA ALCUNA SPESA AGGIUNTIVA! 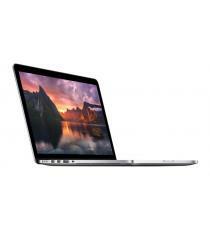 APPLE MACBOOK PRO 13" CORE i5 RETINA a1502 4GB RAM HD 128GB 2.4GHz - FINE 2013 - RICONDIZIONATO GRADE A BATTERIA GARANTITA! GARANZIA 1 ANNO. GLI UNICI AD OFFRIRE ASSISTENZA PICKUP & RETURN, PER QUALSIASI PROBLEMA PENSIAMO NOI A RITIRARE, RIPAPARE E RESTITUIRE IL PRODOTTO SENZA ALCUNA SPESA AGGIUNTIVA! APPLE MACBOOK PRO 13" CORE i5 RETINA a1502 8GB RAM HD 128GB 2.7GHz - ANNO 2015 - RICONDIZIONATO GRADE A BATTERIA GARANTITA! GARANZIA 1 ANNO. GLI UNICI AD OFFRIRE ASSISTENZA PICKUP & RETURN, PER QUALSIASI PROBLEMA PENSIAMO NOI A RITIRARE, RIPAPARE E RESTITUIRE IL PRODOTTO SENZA ALCUNA SPESA AGGIUNTIVA!